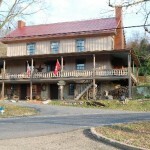 My husband and I are training with ETGS(East Tennessee Ghost Seekers) being welcomed into the paranormal life. 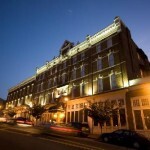 We stayed at the eureka inn two weeks ago.,and let me tell you we couldn’t believe what we experienced. But first let me tell you the inn keepers have done an amazing job with the inn. Not to mention their homemade breakfast was amazing.I don’t even know where to start. Let’s start with the first night we stayed. 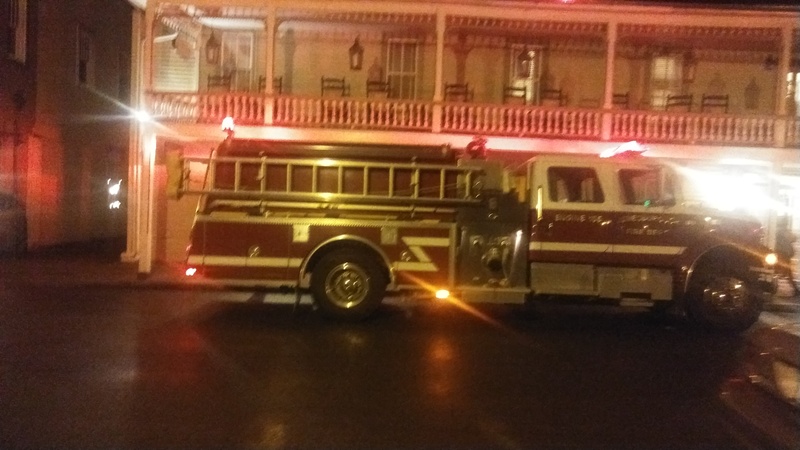 It was 3 am Matt ask the spirit how did he die (on an app on our phone the words popped up… HOT FATE AND SCREAM…) that exact order… Literally 5 min after that the fire alarm went off… The firefighters show up look through out the inn and say it was dust that set off the alarm. That’s strange never heard of that. So with all the activity that night we were just dying to stay another night so we did. The next night we had katelyn(one of the inn keepers) join us. We went into Peter miller’s room and the spirit box kept telling us to get out. And then we went into Angelina’s room and it said her name a few times totally took us by surprise how clear the words were coming through. We got all sorts of activity then about 445 we decided to call it a night we’ve have all the excitement we could handle for the night.. As I wind down and my husband asleep I start to fall asleep and I feel someone smacking at me (not hard, very lightly) I yell at Matt twice, stopping hitting me I’m trying to go to sleep. I rolll over he’s still asleep and snoring nowhere near me. I wake him up and tell him what happen he says it wasn’t me I was sleeping. This is just a short version of what happen. Look us up on Facebook East Tennessee Ghost Seekers and listen to the Para talk with katelyn and you will get the whole experience trust me you don’t want to miss this…… We can’t wait to do a lockdown and investigate with the whole group soon. Thank you Katelyn and Blake for a wonderful time. 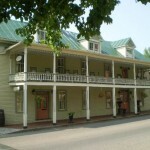 This historic inn is a must visit.